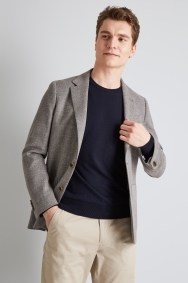 This jacket is the epitome of smart casual style. It sets the smart tone with its flattering tailored fit while the open weave brings plenty of texture for a more dressed-down look. 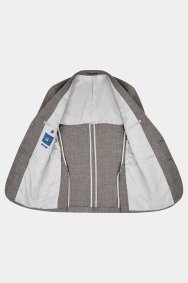 Plus, it has patch pockets for added casual style. 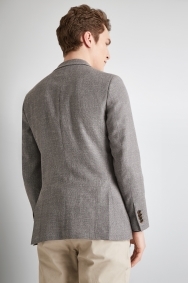 The half lining also serves to help you feel relaxed, making the jacket breathable and easy to wear, helped by the 10% silk and 10% linen in the fabric. Style this jacket a handful of different ways. You can wear it with a t-shirt and chinos or a shirt and trousers for a smarter look. Love the jacket, good quality, looks great! Great quality. Didn't fit me so I returned it and got recommended a different size in store.